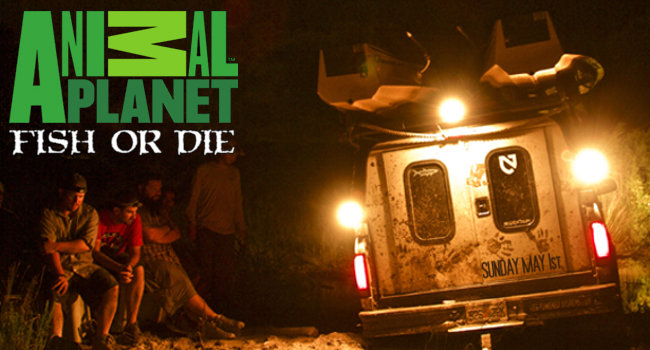 Fish or Die (Animal Planet) hosts Jay Johnson and Chris Owens discuss world travel, drug runners, disease, and some of the planet’s meanest fish. 2 Responses to "Fish or Die with Chris Owens and Jay Johnson"
What was the website mentioned in the end? Indie fly? I can’t find any info of that online. Yes, and Oliver White also mentioned it on his show. I’ve invited Jay back soon to discuss just that project — it’s an economic growth program focused on fly fishing and international travel in out of the way places like French Guiana, and it has been very successful so far. Lets off the grid towns develop without turning to extractive industry or the drug trade.